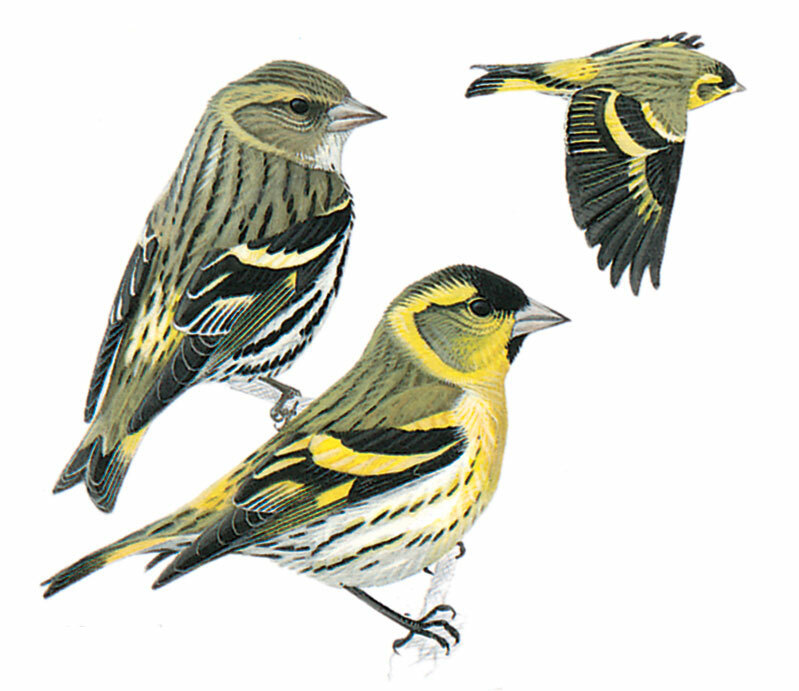 Small, finely built finch. Male yellowish green with black forehead and chin, broad yellow wing-bar, sides of tail and rump, particularly obvious in flight. Female olive-brown above, white below with a tinge of yellowish green which, together with yellow in wings, tail and rump identity it. Lacks black on head of male. Back and flanks streaked dark. Feeds hanging upside down in trees. Appears small and short-tailed in undulating flight.